The prosecution elects not to retry Jeffrey Keeton on second-degree murder charges after a mistrial. As Jeffrey Keeton stepped out into the main lobby at the Creek County Justice Center on Wednesday afternoon, his eyes began to fill with tears. It had been a long journey. For 358 days, he’d been in solitary confinement, charged with second-degree murder. 358 days since he’d had food that didn’t come from within a prison. 358 days since he had more than an hour outside of his cell, except for hearings and the trial. 358 days since he’d been with his daughter. Keeton’s final hearing was Wednesday afternoon at about 2pm. District Attorney Mike Loeffler had told Sapulpa Times that he was going to make a decision on whether or not to retry Jeffrey Keeton. The last trial resulted in a hung jury and Judge Hake had been forced to declare a mistrial after a deliberation of over seven hours. At the hearing on Wednesday, Loeffler elected not to retry the case, and requested the judge dismiss it. Defense attorney Carla Stinnett had no objections. “Case dismissed,” Judge Hake said. But Keeton’s story wasn’t completely over. He had some outstanding charges he needed to handle—a misdemeanor in Payne county. He pled guilty. The state recommended a year in jail, with time served. Soon after, Keeton was led from the courtroom and back to his cell for the last time. As it goes, the process to get him released took several hours. When he stepped out into the lobby at 5:45pm, the only one waiting for him besides Sapulpa Times was Carla Stinnett. Keeton didn’t make it two steps before he set his belongings down and enveloped Stinnett in a hug, tears and all. “Thank you,” he mumbled. It had been a long journey, but it was over now. 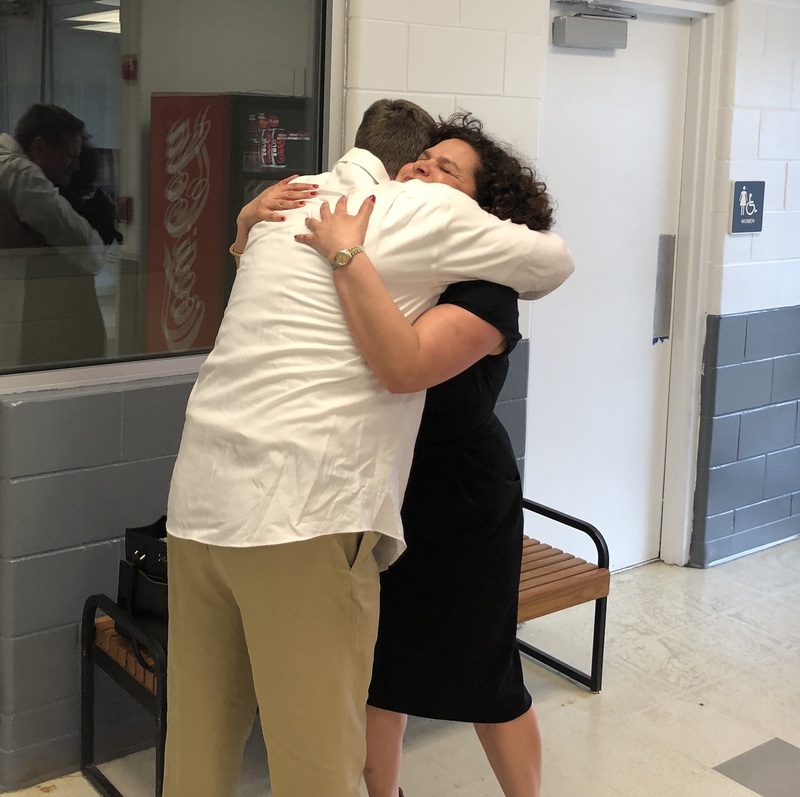 Carla Stinnett and another attorney, Sean Downes, helped Keeton gather his things and for the first time in 358 days, Keeton stepped into the sunlight a free man. All he would say was that he felt “so grateful. Just thankful,” he said. I love u Jeff!!! Be good!!! Praise God! Jeff is a very loving, caring, outgoing, loyal, trusting man who ive had the pleasure knowing for 15 yrz or better. So glad justice was served in this case. Our prayerz have been answered. Again praise God!